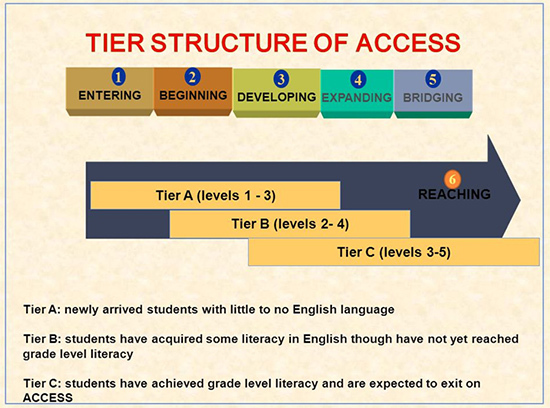 The Essex County Schools of Technology offers a High Intensity ESL Program (two periods of language instruction per day) to all English Language Learners, as identified in their performance on the WIDA ACCESS Placement Test. The WIDA ACCESS Placement Test (WAPT) is administered to determine linguistic proficiency levels and used for placement. English Language Learners (ELLs) in the ESL program must meet the local and state graduation requirements. Additionally, ELLs will have to take the ACCESS for ELLs Assessment annually while in the ESL Program. 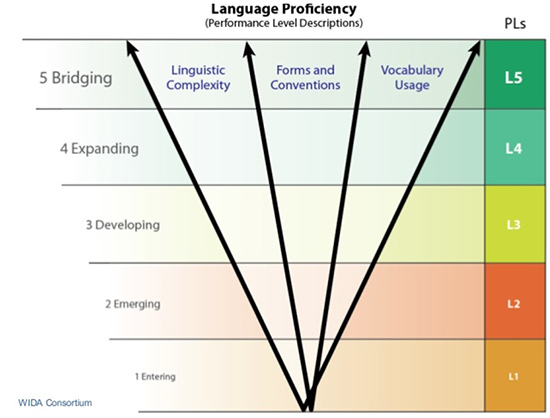 Performance on the ACCESS for ELLs assessment will be used to determine linguistic strengths/needs as well as readiness for EXIT. A student can be eligible for exit if they score a 4.5 at any tier, but multiple measures must be taken into account before exiting. Multiple measures considered for exit include: ACCESS for ELLs proficiency level, previous academic performance, proficiency in other standardized assessments, teacher/counselor recommendations, reading levels, and writing samples. 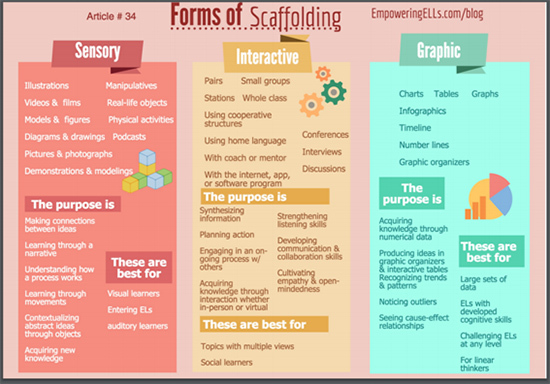 What is ACCESS for ELLs 2.0?